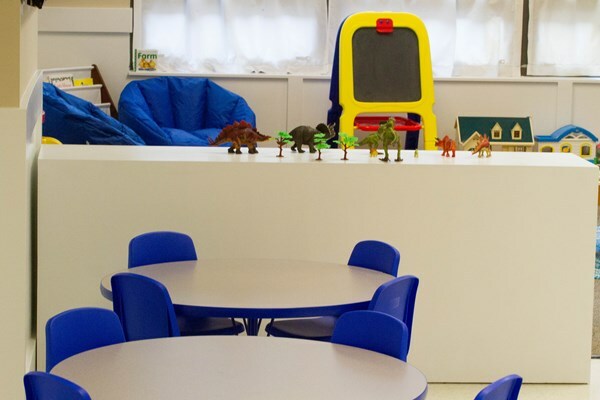 We have been so happy to be able to offer nursery care for the children of our Saint Bridget families, however soon the nursery will be run by volunteers, and we need your help to keep our nursery available to the parish community. We encourage all Saint Bridget families who use the nursery to please volunteer to support this wonderful ministry. If there are not two adult volunteers signed up for a scheduled nursery hour, the nursery will be closed during that time. If you have already received VIRTUS training, we simply need your first and last name, and the email address you provided to receive your monthly training articles. We appreciate your help and wish many blessings to you all!!! *Diapers, wipes, diaper cream, change of clothes, etc. - We are happy to assist children who are potty training! 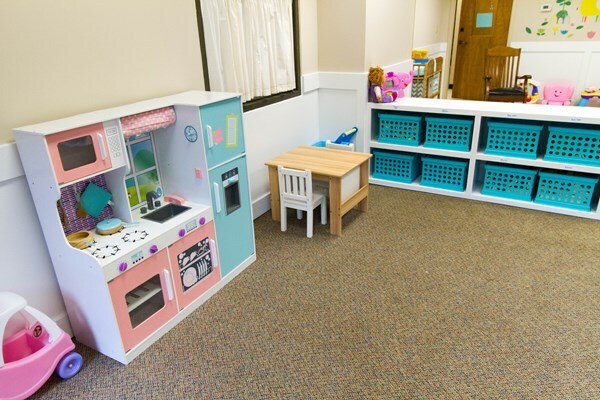 The Nursery is here when you are ready! Children are an integral part of our community and are always welcome to be in the Church during Mass. If your family decides to remove younger children from the church, there are a few great options to care for your child and stay engaged in the liturgy. A glassed-in vestibule under the organ loft at the back of the church is equipped with recently renovated speakers. There is a tv broadcasting the Mass in the hallway near the bathrooms in the commons. 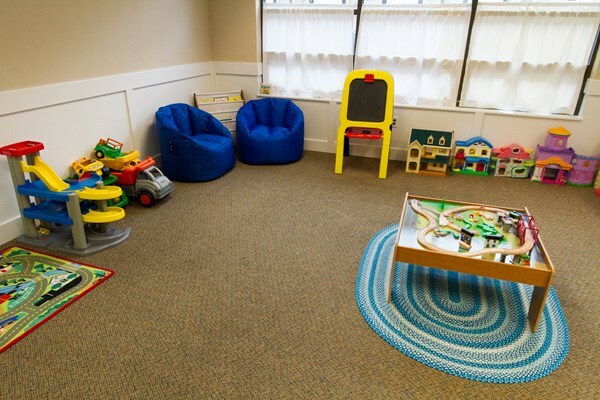 The nursery is available for children age four and under or of a maturity level to attend Children’s Litergy or the Word during the 9 AM and 11 AM masses on Sunday. 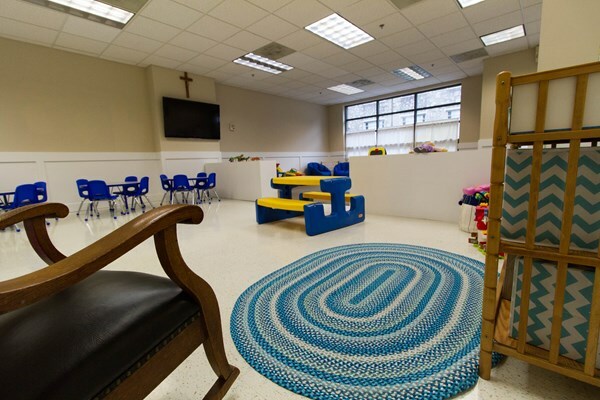 The Nursery: Where little ones play, explore, and get introduced to the Mass! The nursery is located behind the bathrooms across from the kitchen; any usher can help you find us. Mass is always live on the TV in the Nursery. Please feel free to stay and/or drop in as often as needed to allow your child(ren) to become comfortable with the nursery. You are always welcome to bring your child(ren) to the nursery during the middle of mass if they get restless! 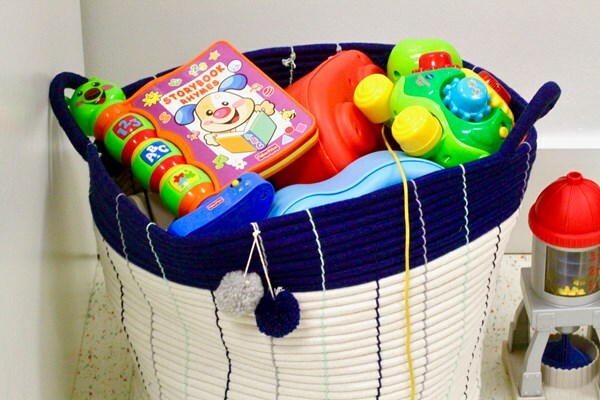 If you decide to use the nursery on a regular basis, we ask that you please volunteer to help us during mass to allow all of our families to take advantage of this ministry and share in the responsibility. Note that we release the children back only to the person who brought them to the nursery until we get to know your family! We want to know about any food allergies your child(ren) have. 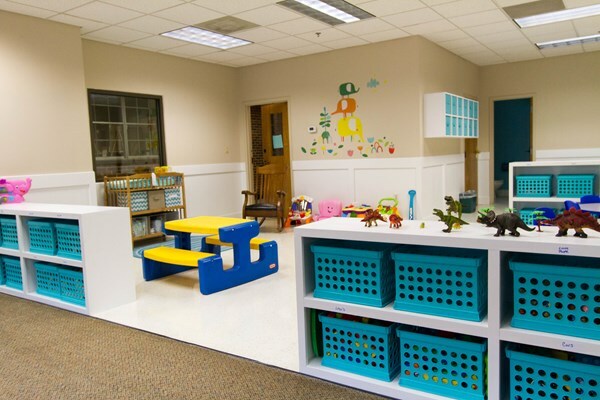 Everything in the Nursery is sanitized after each classroom use! In addition to the adult volunteers, we often have teen volunteers in the nursery, who may receive service hours for their time. Teens interested in helping should contact Maria Wilson or Erin Garnett for questions or additional information. 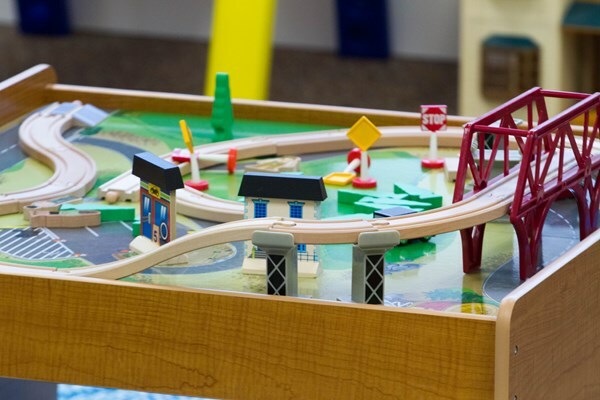 Every Tuesday and Thursday from 9am to 1pm, our nursery is open and professionally staffed for your children to join us for fun activities and play time. We accept children ages 16 months plus. Please contact Maria Wilson, Nursery Manager, if you have a request for a child younger than 16 months who you would like to attend. Please reserve your spots quickly! *A nut free snack and lunch. Please register your child(ren) by clicking on the button below. All of our staff have been trained in the diocesan VIRTUS Protecting God's Children program. Mrs. Wilson (Miss Maria) is our Nursery Manager and Co-Teacher in the Mother’s Morning Out program. She has B.A. in Early Childhood Education and is an Air Force Veteran. She has had a lot of experience babysitting and worked in a local early childhood education center for several years. She and her husband, Derek, have three daughters and a son. Mrs. Garnett (“Miss Erin”) is our Nursery Manager and Co-Teacher in the MMO program. As a teenager, she worked as a babysitter, a camp counselor, and a volunteer with children. She has worked for the past 11 years as a certified public preschool teacher and in-home therapist in special and general education settings. She and her husband, Tom, have three daughters. She also has CPR/AED certification.